A Trio with a Vision for Pinot. David Low, Anthony Filiberti and Webster Marquez formed Anthill while on a road trip through the Willamette Valley of Oregon. The three had met while working at Williams Selyem Winery, and the idea of launching their own winery struck them after the vintage of 2003. Each founder had his own wine background in vineyards from the West Coast to Virginia. The trio united in their shared vision for Pinot: avoid the overripe style and retain freshness and acidity. New oak is is sometimes used, but no more than 30%. They play around with whole cluster fermentation (throwing whole bunches of grapes into the fermentation vat—a practice exercised in some top domaines of Burgundy—to give the wine a green edge with a bit more structure and earthiness), and do not utilize racking or filtering. The result? Really freaking delicious Pinot Noir. Their grapes come from vineyards in Sonoma and Mendocino in the North Coast, and a few small plots in Anderson Valley. Bottles Only for Insiders. Anthill Farms makes a dozen or so single vineyard bottlings, with two appellation Pinots (Sonoma Coast and Anderson Valley). Most of the wines are sold via a mailing list, while the remaining go to restaurants and retail shops and are incredible allocated. Here in town, Boca, Salazar, and Sartre are big fans of Anthill Farms. Plus “the cru” constantly finds these bottles getting opened with friends. Our Favorite Anthill Finds. While every bottling is distinct and remarkable, the Comptche Ridge vineyard in Mendocino has always stuck out in my mind. The vineyard itself is so remote and away from most of civilization it can be quicker to fly in a prop plane and land on a grass landing strip. It is surrounded by pine and evergreens, and that certainly comes through in the wine. It has the bright Pinot red fruit, with a layer of eucalyptus and tobacco. It is hauntingly beautiful with each sip. 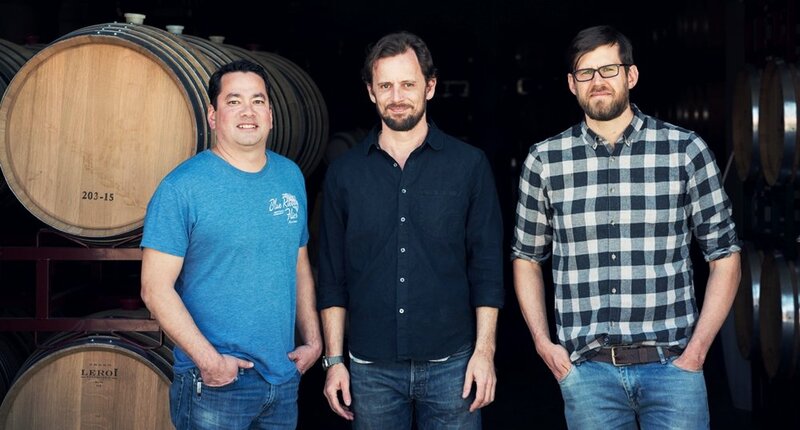 For these guys, Syrah is a bit of a passion project. They love Syrah, especially when it comes from the cool Sonoma Coast. Some consider this area too cool for Syrah, but they believe the coast creates a Syrah with “tight focus and tense balance.” They often do not harvest these grapes until November. This remote vineyard is located in a small natural clearing above the town of Comptche, just inland from the northern Mendocino County coast. Owned and managed by the Weir family, Comptche Ridge is dry-farmed on a complex mix of fine sandy-clayey Franciscan soils, and is ringed completely by high redwoods and Douglas-fir. This vineyard is planted primarily to Swan clone. This site lies in the heart of the Green Valley appellation, on the corner of Green Valley and Maddocks Roads. Owner and manager Ron Black had the foresight to plant this hillside very densely to create more vine competition and lower yields. This approach delivers an intoxicating combination of lushness and poise to the wines from this site. This vineyard is located a few miles from the Pacific Ocean, near the tiny town of Annapolis, and is farmed by Steve Campbell. At approximately 750 feet above sea level, it sits right at the boundary of the marine layer, ensuring that the cool, coastal climate delays ripening well beyond the warmer vineyards to the east. The two-decade-old vines grow on sandy, low-vigor Goldridge soil, which helps reduce yields to near two tons per acre. We always find the best way to learn is to taste. This is great way to try multiple wines from the winery.